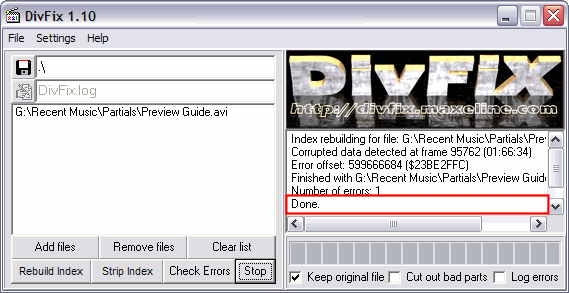 This guide was created not for "pirating" use but, to verify the file is in good working order and has no visible defects. 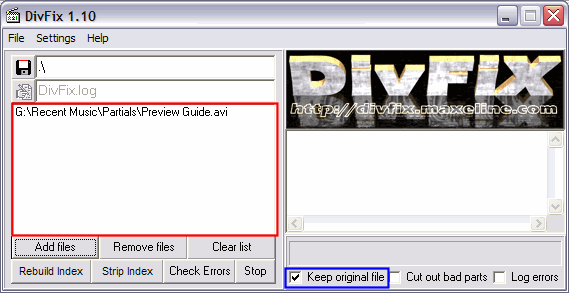 You should not use this guide in conjunction with P2P software for downloading pirated contents. P2P software should not have to take the blame for how people misuse it. 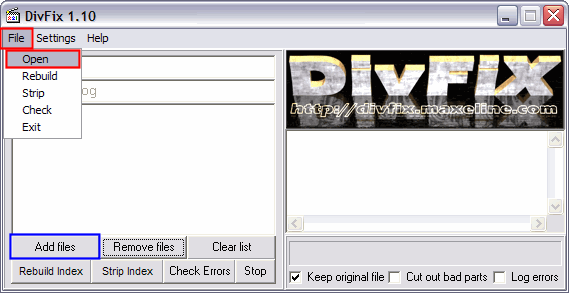 Are you nervous about spending hours downloading an AVI file, only to find that it isn't what you wanted? 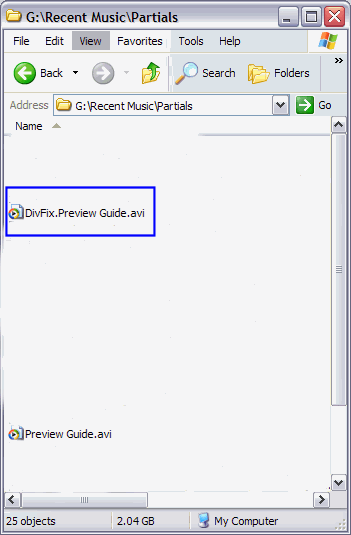 This guide will show you how to rebuild the index of a .avi file so that you may preview the part you have downloaded. Warning: Do not multi-task or open any other programs or anything while you do this. 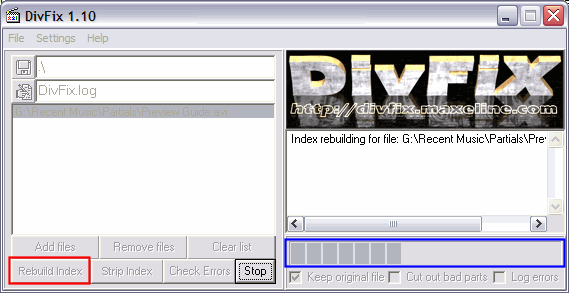 DivFix will hog your CPU until it finishes! You will bog your whole system down if you try.